First pick of the new grow bed, Water Celery (Selom) picked earlier today. 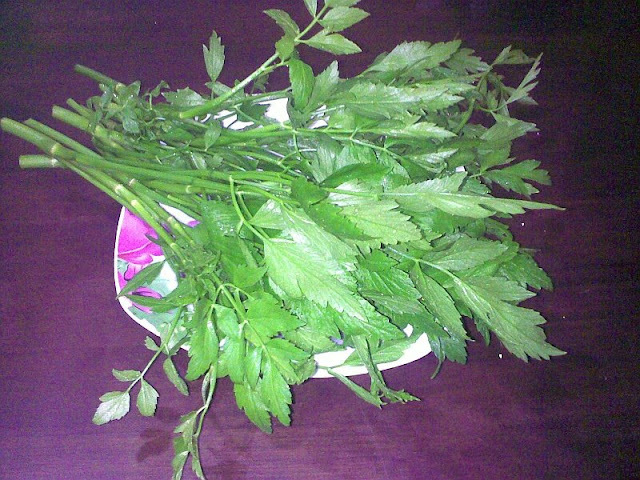 This plant easily grown from cuttings and can be eaten raw or finely chopped into soup or salad. I am waiting for chillies to ripen then I'll update, it'll add color to my somewhat less colorful blog. There are about 10 chillies last counted.